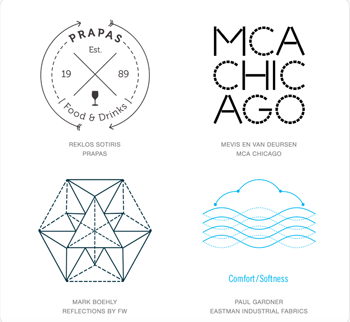 Logo Lounge is a great site that publishes the most comprehensive information, samples and trends about logo design. It is a members-only site, and as a Logo Lounge member, you can see an enormous and historic selection of logos, along with analytics. 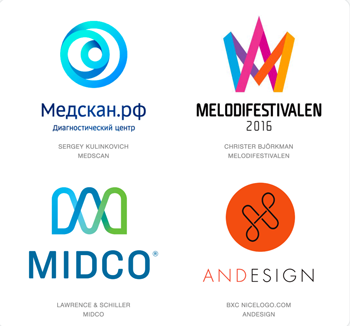 However Logo Lounge’s 2016 Logo Trend Report is available to the public. Yes! 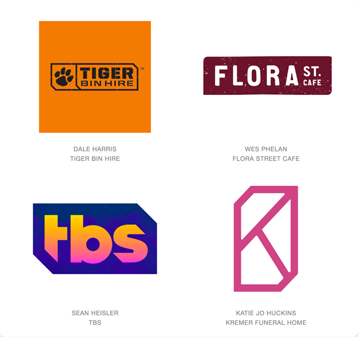 About Trends and How Long Should a Logo Last? 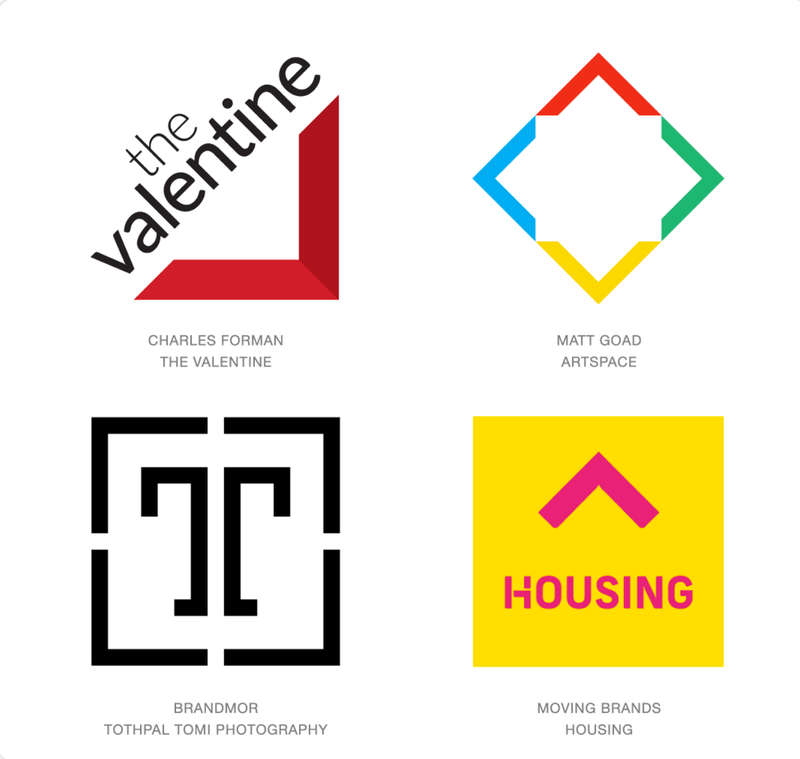 When I was at Pratt we were taught that a logos should last for a long time—perhaps 25 or 30 years. 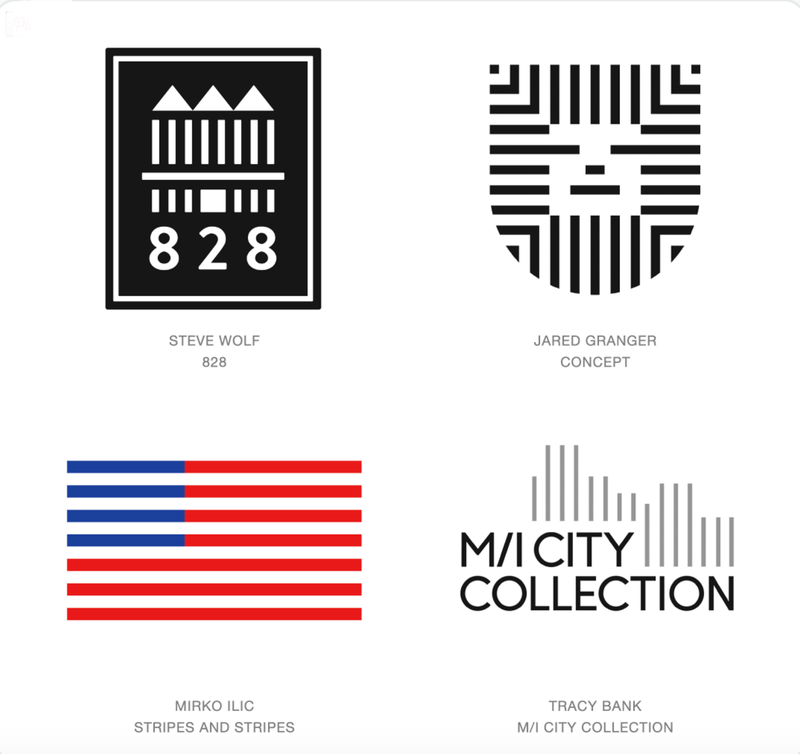 While I still believe that a logo should be timeless and classic, it also should be timely. 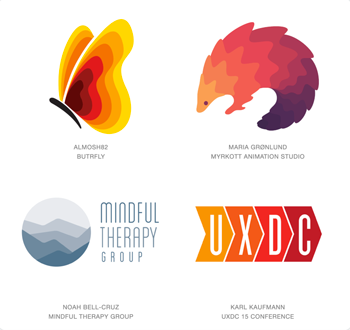 A logo should visually represent an idea or concept—it must reflect the personality of the company it represents. 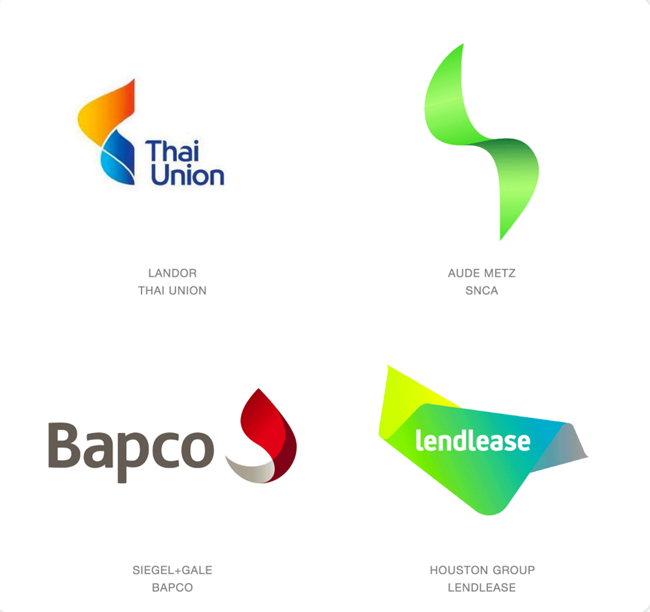 Today many companies tend to “re-brand” after 5–10 years. This seems to be more tactical than strategic. Strategy is the roadmap for the long-term. 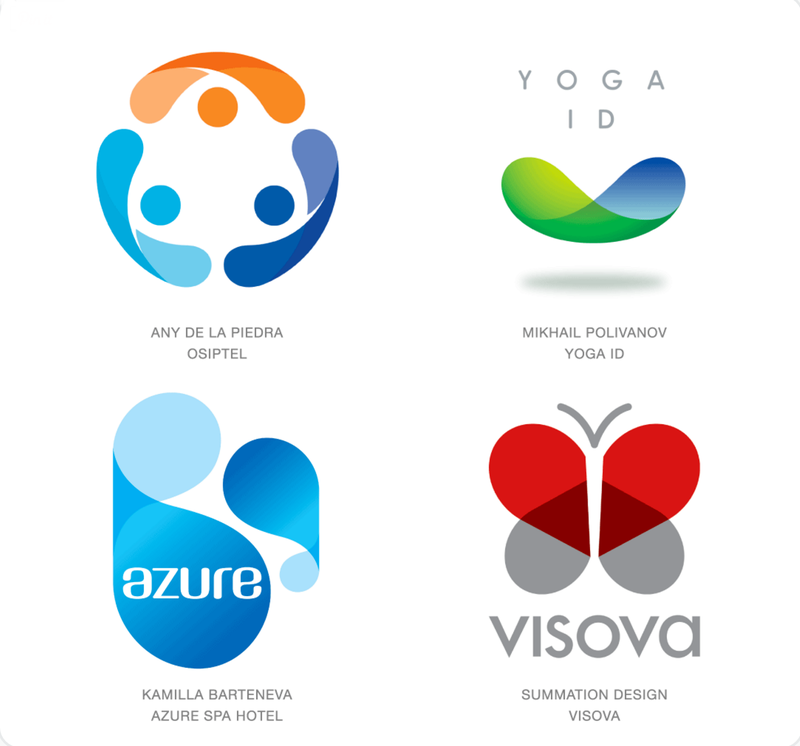 The following 8 characteristics are essential for creating a hard-working logo. 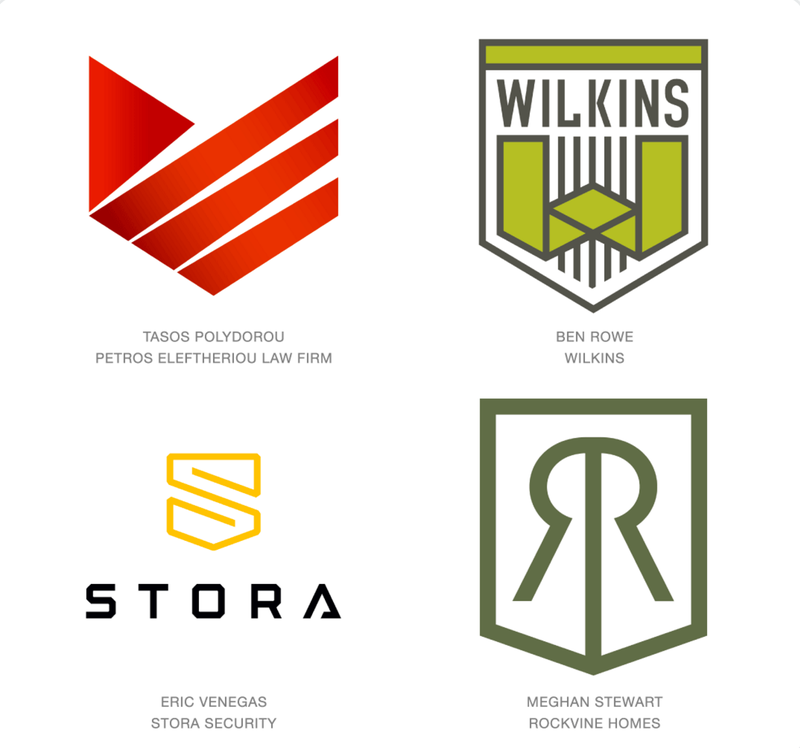 A synopsis of the Logo Trend 2016 article follows, accompanied by my comments. 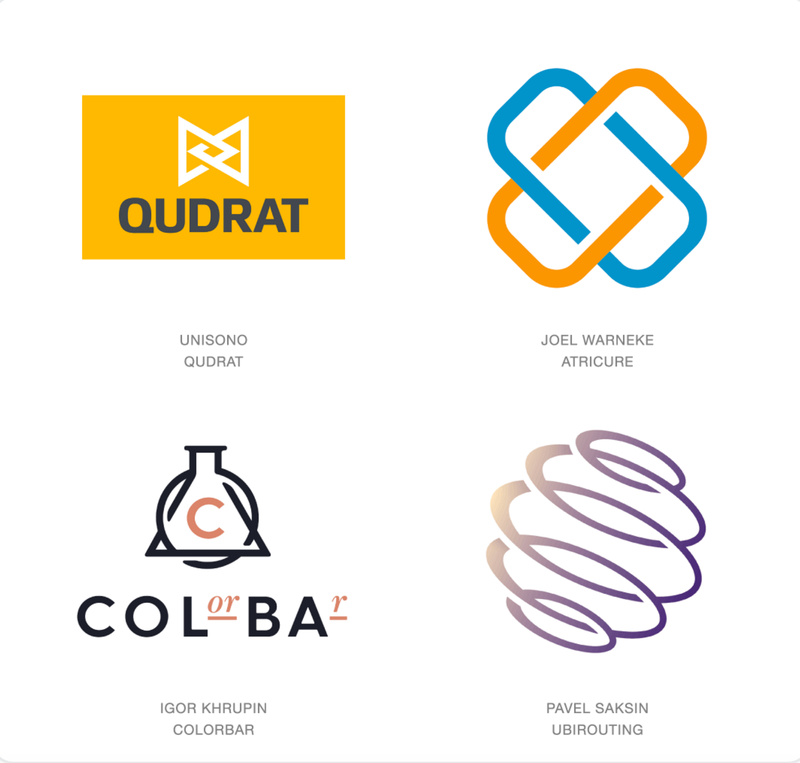 How many of these logos incorporate the 8 characteristics mentioned above? Derived from the original article by Logo Lounge with summary adapted from Jacob Cass, Just Creative. The Ombre trend is stepped color increments—colors that shade into each other, graduating from light to dark, or dark to light. This effect is reminiscent of gradients, which have lost popularity for a number of reasons, including difficulty in printing. I have been a fan of circle logos for years! It qualifies as a “trend” but it is also classic. Target! Pepsi! Volkswagen! WordPress! London Underground! 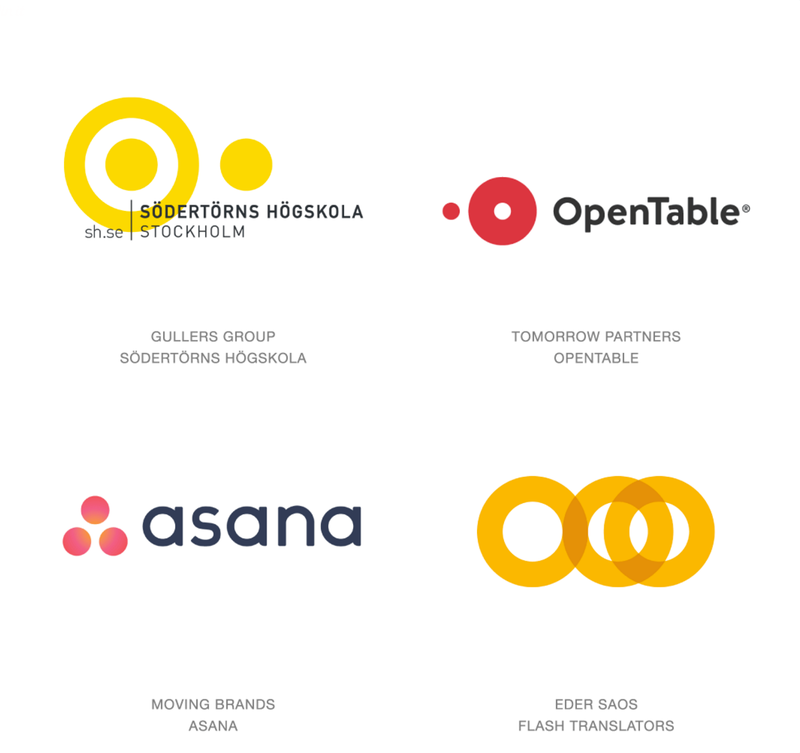 The 2015 update of the Open Table logo is great—and it tells a story. This technique delivers visual interest and dimension while keeping it simple and using few colors. Linking often symbolizes pairing, connecting, mutual effort. It is also visually amusing as our eye continually tries to close the link when left open, as in the examples below. A box is a good visual container for typography. It helps the words stand out on the page. Boxes and rectangles seem to be trending. But just turn down or round one corner of a square and it becomes much more interesting! It’s amazing what the mind does to try to complete what we expect to see. This is a version of a triangle and a square, two of our most basic shapes and building blocks. These shapes are both familiar and enduring. Add white space or turn them on their side and they become intriguing. Simplicity rules again. This is an interesting and seeming somewhat retro technique. The dashes can indicate motion, borders, pathways, invisible elements, transparency, scores or secondary tiers. This is another seemingly retro style, reminiscent of the bouncing movie intro typography of the 60s. Think Pink Panther. It also connotes a bit of a “puzzle” feature or non-conformity. This is a visual building block that has become popular in recent years. It is not particularly strong visually, and for my taste, a bit too trendy. It is often used with color transparency. Again, we see the retro theme. Call this one a classic. I like this shape. It harkens back to family crests, kingdoms, shields. This is a strong, memorable shape that has been around forever. 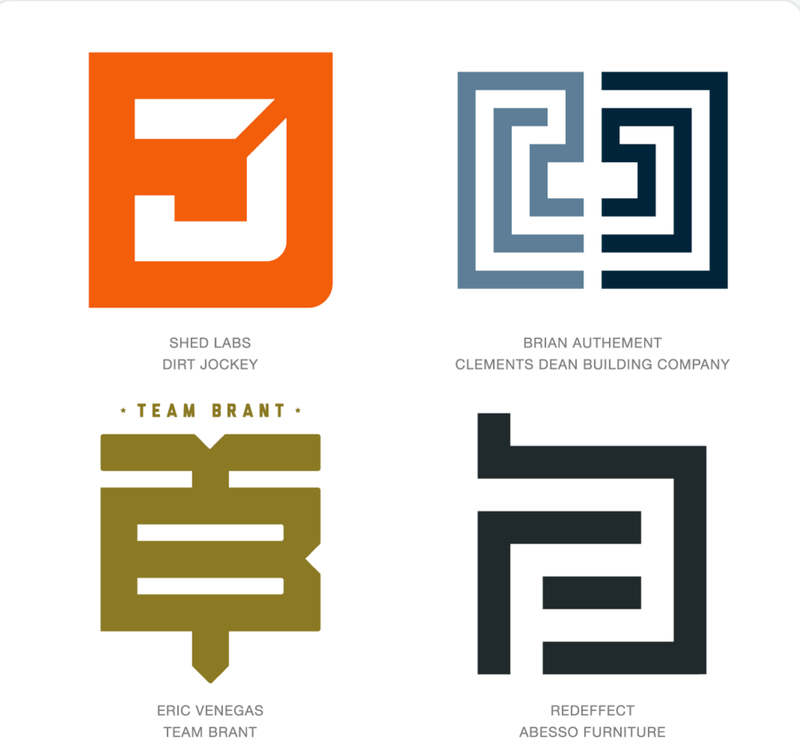 Today these marks are simplified and elemental, making them look strong and contemporary. This is another visually interesting shape that intrigues the eye. This technique takes the familiar and presents it in an unusual way. We are visually memorized. The human eye is always seeking something new! This technique is somewhat classic and also harder to do well than it might appear. 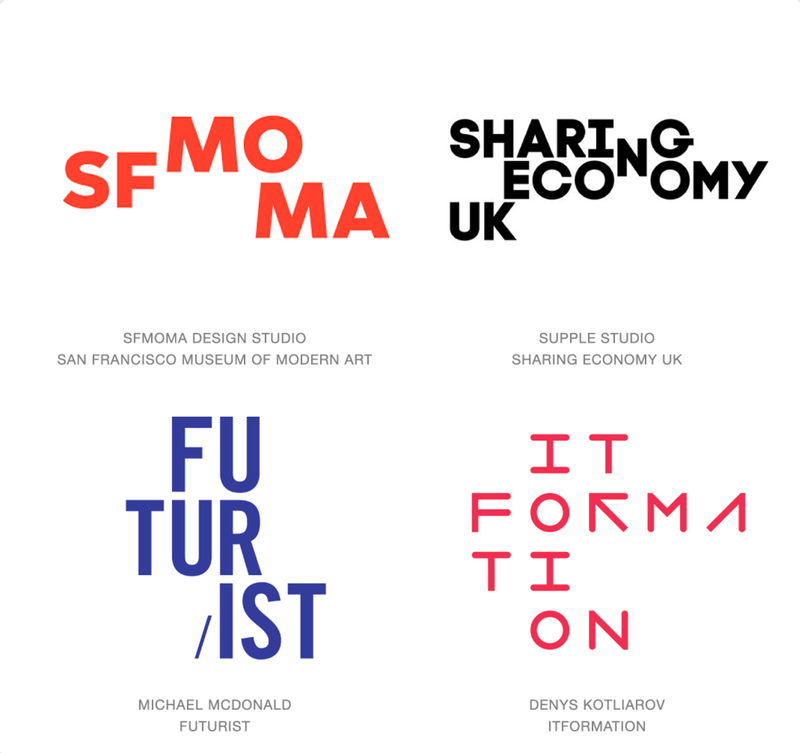 Typography should only be deconstructed by designers who really understand letterforms. The dimensions involved in creating a letterform are very relational and follow conventions developed over hundreds of years. Creating a logo based on a deconstructed letterform can be effective, but it is a challenge to make the letter both symbolic and readable. 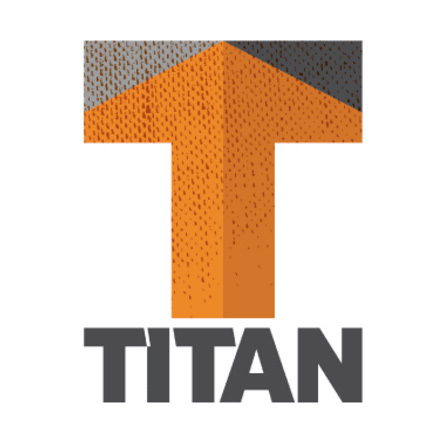 This style of logo is completely conceptual and will likely not easily convey meaning to a viewer. 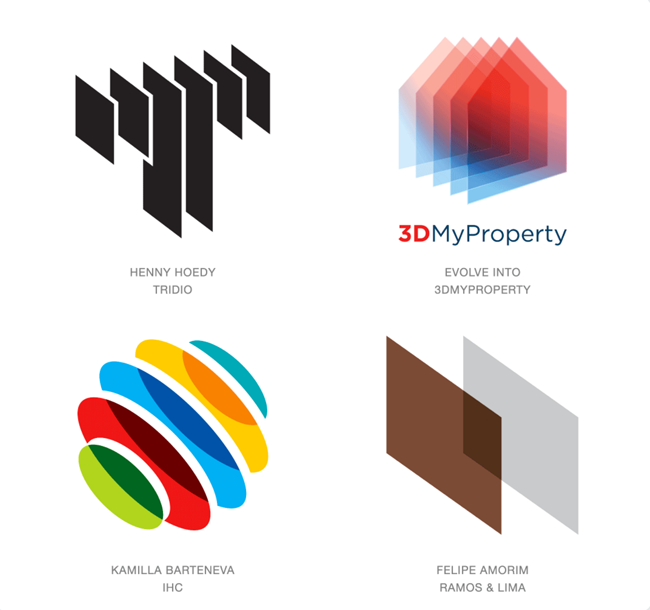 Perhaps this style of logo best demonstrates the concept of flexibility, or continuum. The repetition of sound or movement, either simple or complex, creates a rhythm that helps us to forecast what lies ahead. A repeating shape, the repeating chorus of a song or a repeating textile pattern is peaceful to humans and its is predictive, familiar and understandable.